At a party, I recently learned that it’s possible to train crows to bring you loose change that they find, and I was instantly enchanted. That is a career that has Dana written all over it. No phones. No angry customers. No forms and paperwork. No fax machines. Also, I like crows. I announced to my friends and husband that I planned to train me up a murder of crows to do my bidding. No only would I train them to bring me change, I would train them to send letters as well. 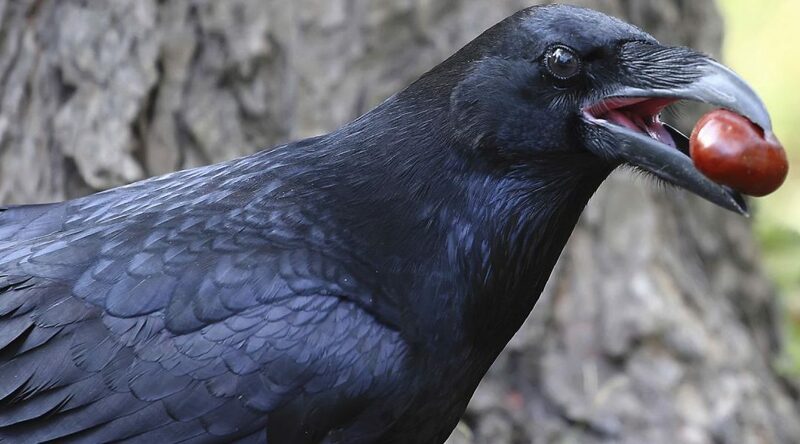 I know eight Game of Thrones Geeks off the top of my head who I’m certain would pay me to send letters for them by crow. My friends and husband laughed, assuming that I was just drunk and full of bad ideas, like usual. This is the worst breakfast you could possibly eat. I’ll show you the recipe and picture first, then I’ll explain myself. Alright. I assume you’ve taken that in. First of all, I get that some people like coffee, and believe that they need it to function in the morning. Bitter vomit flavor is appealing to lots of people. I don’t pretend to get it, but I understand it on an intellectual level. So on its face, a coffee smoothie sounds like a pretty good breakfast idea. You’re killing two birds with one stone, getting your coffee and nutrition all at once. But you guys, this is not the way to do it. All this “smoothie” is is a milkshake. Read the ingredients again. It’s coffee, ice, dairy and chocolate. It could be argued that vanilla Greek yogurt is preferable to ice cream, but I raise my eyebrow. It’s basically the same thing. Sugar, cream, vanilla, in that order.